There are people who take up cycling for fitness. There are people who love to cycle a lot more than for it to be an ordinary hobby and learn everything about the sport, buy the best bikes and go on excursions whenever possible. Then there are people who dedicate their lives to the beautiful art of cycling. These are the ones whose passion for it dearer to them more than anything else. Such are the founders of Ciclo cafe in Kotturpuram in Chennai. 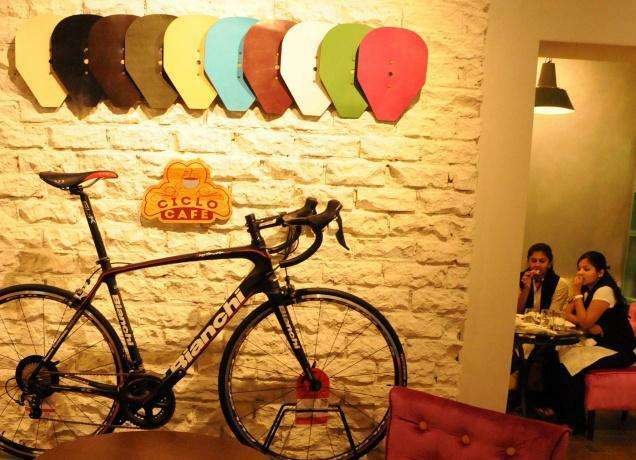 Ciclo cafe, a product of the collaboration of TI cycles (Murugappa group) with Absolute restaurant, which operates L'Amandier, happens to be the first cycle cafe of India. 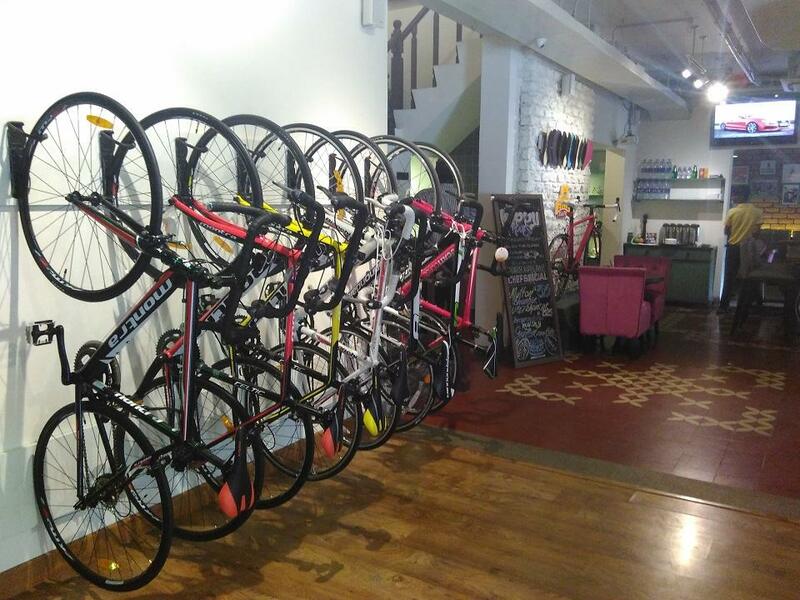 Cycles tyres adorn the walls while tables are supported by the wheel rims. 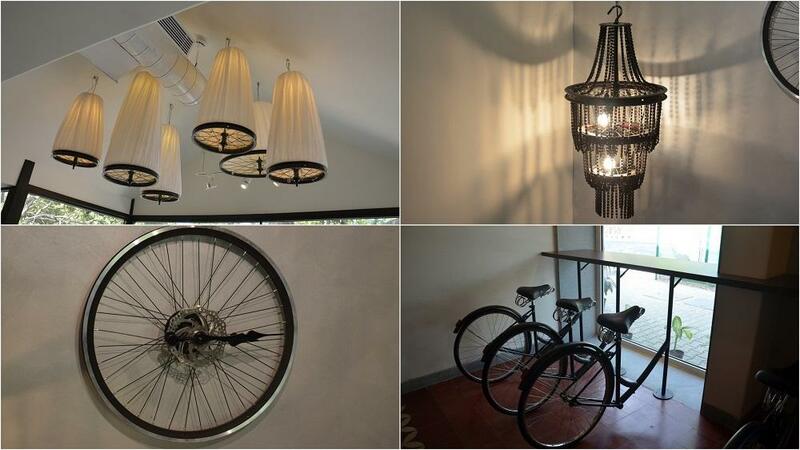 The most striking is the chandelier, which is decorated with cycle chains. Although the cafe doesn't serve any main course or alcoholic drinks, it excels in quiches, burgers, pastas, pizzas, and soups, which you can easily munch away while seated on bar stools built out of cycle frames. 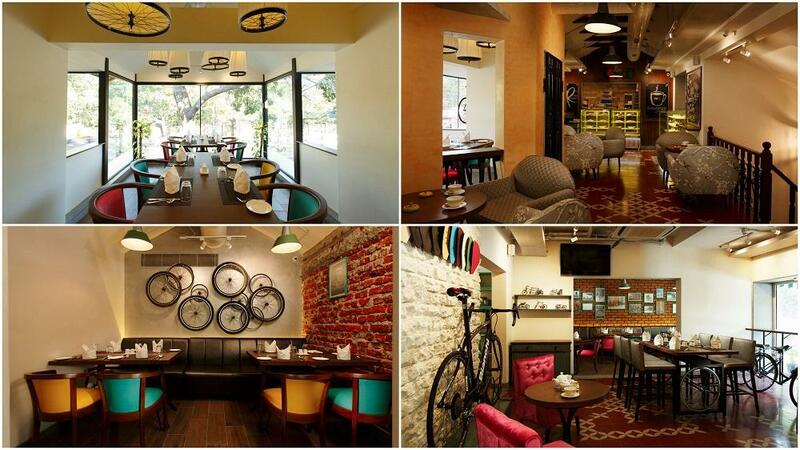 Apart from the food, the cafe offers cycles of international brands like Schwinn, Cannondale, and Mongoose for sale, whose prices can vary from a few thousands to more than a couple of lakhs. You can also bring your own cycles for a wash in their 'cycle spa' and have a cup of coffee while your cycle is groomed for you. Ciclo cafe is a hit amongst all cycling enthusiasts. Cyclists from all over India come to visit the unique place and for the ones living nearby, it has become an ideal haunt. If your love for the two-tired fit machine is strong, you should head over to Ciclo cafe as soon as possible.